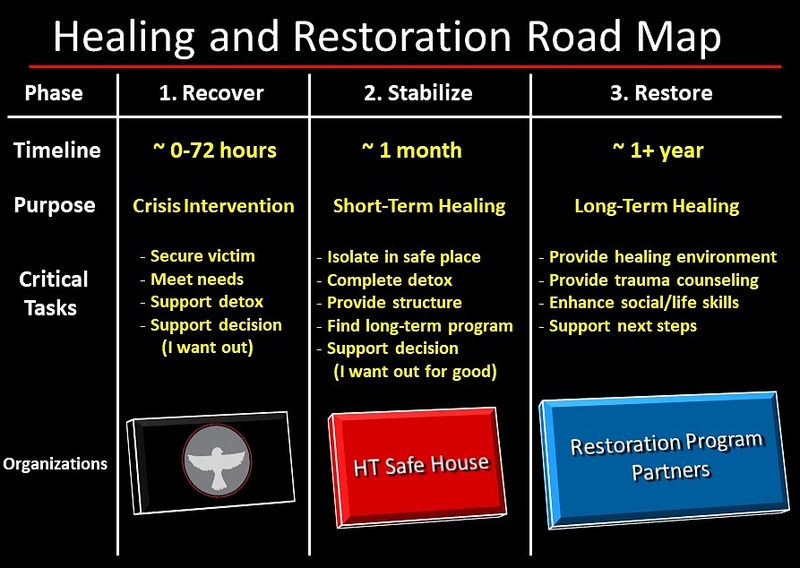 5 Sparrows serves HT victims in the Crisis Phase. Through existing funding, collaborative partnerships, and memorandums of agreement with other service providers, 5 Sparrows has established a network of resources to meet all critical needs for HT victims and survivors. 5 Sparrows continues to offer resources, advocacy, and support to every victim who requests help within our community.